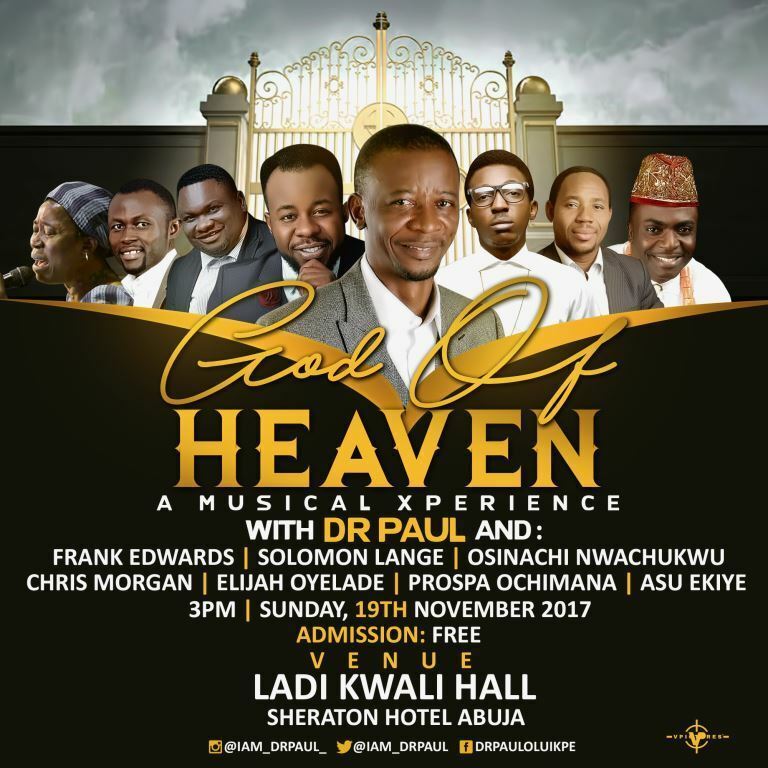 Dr. Paul will be shutting down Abuja with Frank Edwards, Prospa Ochimana, Osinachi Nwachukwu, Solomon Lange, Asu Ekiye, Elijah Oyelade and Chris Morgan in this highly anticipated worship experience. For a long time we have been asking this musical icon when a concert will hold and he kept pushing it off. Little did we know he was planning something MEGA. Now, he has finally unveiled the God Of Heaven Musical Xperience about to take Abuja by storm. It promises to be a whopper. Date: Sunday, 19th November, 2017. Venue: Ladi Kwali Hall, Sheraton Hotel. Abuja.